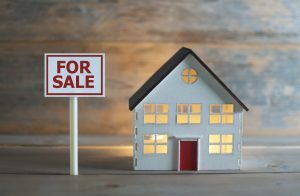 An offer has been accepted on your property and now you need a solicitor to assist you in selling the house. This means that take care of the legal work for you and ensure that ownership of the property passes from you to the buyer. Most of our clients instruct us because of reputation. We have been providing conveyancing services to the people of Huyton, Liverpool and beyond for over 30 years. We hold CQS (Conveyancing Quality Standard) Our team are assessed on an annual basis to ensure that we have the necessary skills and knowledge to hold the CQS accreditation and this gives clients peace of mind when instructing us. What service do we offer for Sellers? We ensure that the legal transfer of home ownership from you to the seller is complete. This means looking after your interests from when you accept an offer until the day you pack up your belongings and move on. We provide a fixed fee service. This means that you know from the start what fees you will have to pay. There are no hidden extras. Our fees are published on our website. We have excellent client feedback https://www.levinslaw.co.uk/conveyancing-testimonials/ and aim to provide the best service to our clients.